In terms of youth culture, WakeRide has provided us with the goods in terms of summer activities and music. It's only been two years since the creation of WakeRide and they've already provided Saskatoon with acts like: The Trews, Broken Social Scene and K-Os. 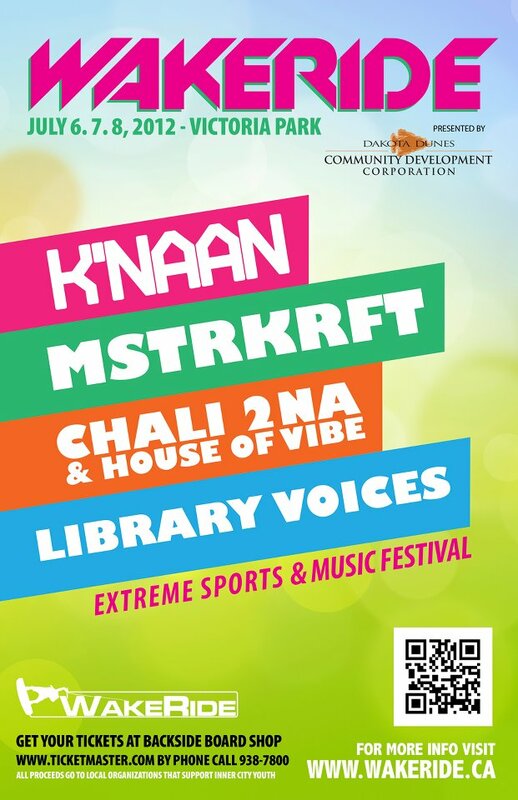 Now this year they bring Canadian DJ Heavyweights MSTRKRFT and hip hop champion Chali 2na formally of Jurassic 5. If you've been on the fence about this event, I believe now is the year to go and get down.